The Tavern restaurant is the perfect place to host your next event or Christmas Party. The Tavern can host events with a guest count of up to 60 during the off season months. We can host smaller groups throughout the year as well. The Outside Patio can host groups up to 100 during warmer months. We slow cook Prime Rib all day & sometimes we do sell out. 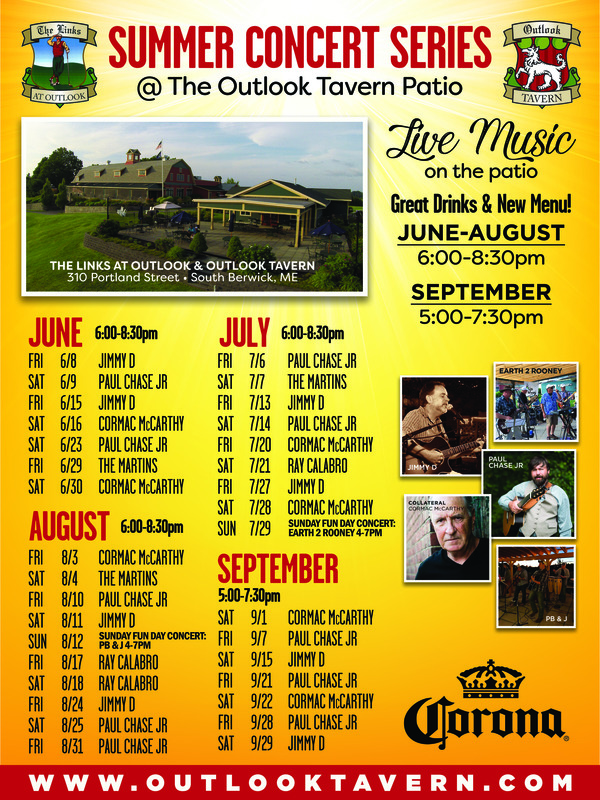 In Season: The Outlook Tavern is Open Daily during the In-Season months. The Tavern can host events with a guest count of 60 and under during the off season months. The Outside Patio can host groups up to 120 during warmer months. The Outlook Tavern Restaurant & Patio sits on The Links at Outlook Golf Course, nestled overlooking the 18th Hole & front nine of the golf course.The Outlook Tavern is located at The Pro Shop building behind The Red Barn . This laid back, family atmosphere has incredible patio views in the warmer seasons and a fire place to enjoy during the wintertime. The Outlook Tavern restaurant offers a bar/pub area, main dining room, and outside Patio during the warmer months. NOTE: Weekly Specials may change week to week.